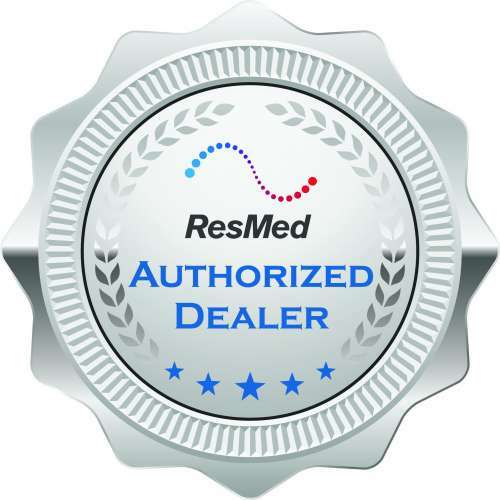 ResMed has made a name for themselves in the CPAP/BiPAP space, and now they are taking their same dedication to quality and design into the portable oxygen space. If you are looking for a supplemental oxygen therapy option that enhances your mobility, while keeping up with your lifestyle demands. 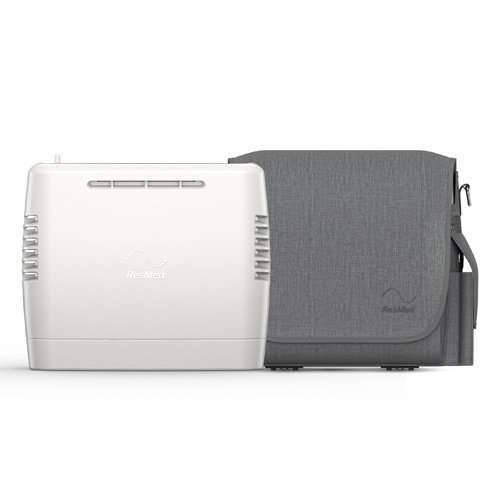 The brand new FAA approved ResMed Mobi portable oxygen concentrator is sure to be a favorite for any oxygen patient who requires a pulse flow setting of 1-4. This feature packed machine will check all your required boxes and more! You may be thinking, if this portable concentrator has so many features, then it must be extremely heavy. For most manufacturers that would be the case, but the ResMed Mobi is a featured packed device that only weighs in at a mere 5.5 pounds! Being prescribed a pulse flow setting allows you to enjoy the advantages of lighter concentrators, while that’s great, it’s also important that the device satisfies your resting and active breathing rate. As mentioned, the FAA approved ResMed Mobi portable oxygen machine provides pulse flow settings of 1-4. No matter if you’re enjoying your favorite book on the couch, or walking up the stairs, the Mobi will sense your breathing rate and will automatically adjust between active and rest modes. All based on your current activity level at that precise second! Plus, by using the patented Pulse-Wave Technology, the ResMed Mobi is capable of delivering the exact dose of oxygen you need each time you take a breath. Nobody enjoys the frustrations that are often associated with technology, and oxygen concentrators are no exception! Which is exactly why ResMed worked tirelessly on the overall design and functionality of the Mobi control panel to make it as simplistic, yet advanced as possible! The extremely crisp and clear LED control panel gives you all the information you need to know with a quick glance down at your device. 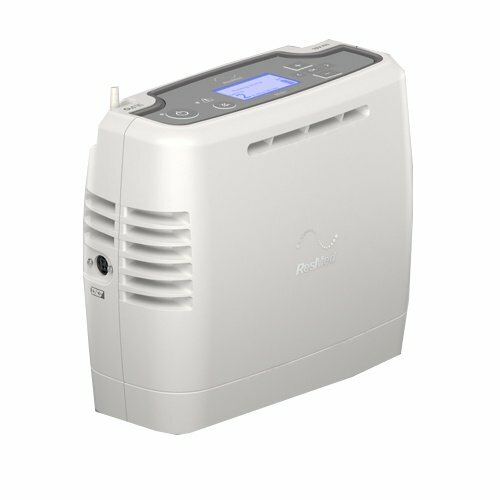 One massive benefit of the ResMed Mobi portable oxygen concentrator, is the fact that the LED display is simplistic and allows for easy push-button startup and even easier setting adjustment. The Mobi control panel features a power indicator that illuminates green when the device is on and in use, a large power button that will illuminate the display screen when pressed once or will power the device on/off when pressed and held. On the control panel you will also find an alarm indicator that will display a yellow LED and sounds an alarm when there is a change in operating status, or a condition that requires attention. By clearly displaying this on your Mobi control panel, you can rest assured knowing your concentrator is function properly. If you ever need to mute the alarm sound, there is a large mute button that you can press to instantly disable audible alarms during operation. When you press the mute button, a mute symbol will appear on the LED screen. Finally, you will also notice a large LED display screen which displays operational indicators, as well as navigation controls (+/-) that of course will be used to adjust the pulse flow rate on the machine. There’s no fancy features and unnecessary buttons, only what you need to enjoy a seamless delivery of supplemental oxygen while on the go or at home! We all require different things from our portable oxygen concentrators, even if we are using the exact same device. ResMed took note of this and specifically designed the Mobi to be customizable to your specific day to day needs when it comes to battery life. With the ResMed Mobi portable oxygen machine, you have the option to chose from the lightest overall package by simply using the internal battery. Or if you don’t mind adding a little extra weight in exchange for longer portable operation, the Mobi has an option for you! 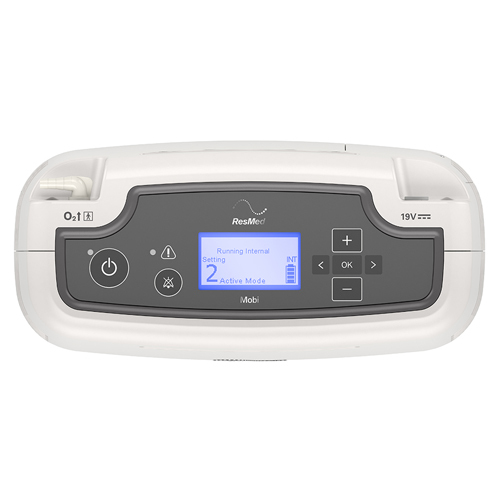 With ResMed Mobi internal battery, the concentrator will weigh in at 5.5 pounds and can provide up to 6 hours of portable operation when using on a pulse setting of 2. On the other hand, you can enjoy up to an extra 3 hours of battery life on a pulse setting of 2 with the optional external battery. Which plugs directly into the side of your Mobi device and will add an additional 1.1 pounds to the total weight of the unit. Plus, with the included carrying case there is a side pocket specifically designed to house the external battery so you will barely even notice its there! Since portable operation of the ResMed Mobi is powered by a lithium ion battery, there will come a time when you need to recharge your batteries. And with the Mobi you have restriction free options! The standard method of charging your Mobi will be through a standard wall outlet at home or in your hotel, which is done with the included AC power supply. By simply using the AC power supply, you are able to power the Mobi and charge both the internal and external batteries. One important note, if you are using your Mobi while simultaneously charging the batteries, the overall charging cycle will be prolonged. For those of you that are constantly on the go, ResMed didn’t forget about you. 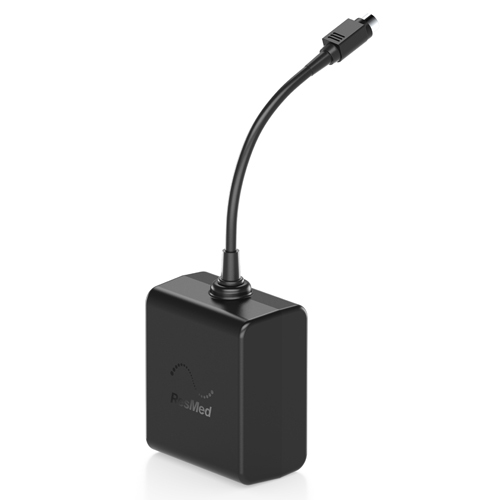 As the DC power supply gives you the capability to charge and power your Mobi device in your car, truck, SUV, or RV via the 12V cigarette lighter outlet. That’s right, even if you battery is completely drained, the DC power supply will allow you to use the device while it charges the internal and optional external battery if you have one. Now that you are aware that the Mobi has both the pulse flow and battery capacity to meet your respiratory and activity demands. Your next question should be, does the ResMed Mobi portable oxygen concentrator offer a comfortable way to carry the unit? The answer is yes, in fact the ResMed Mobi offers 3 extremely convenient and comfortable carrying options! 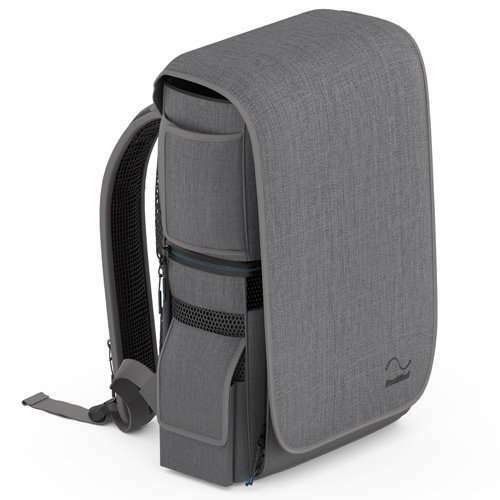 Right out of the box, the Mobi concentrator will include a stylish and even more comfortable Mobi carrying bag that includes an adjustable shoulder strap. With the adjustable shoulder strap you can chose to customize the fit of the bag, and you can choose between draping the strap across your chest or a single shoulder. The included carry bag also features a side pocket specifically designed to hold the external battery if you chose to use one. You also don’t have to worry about your Mobi overheating in the bag, as there are precisely placed mesh vents throughout the bag to ensure this doesn’t happen. Additionally, due to the incredible design of the carry bag, it will also conceal your oxygen tubing. Take not only your comfort to the next level, but also your mobility with the optional Mobi backpack! The extremely stylish Mobi backpack is jammed pack with features that will make you fall in love with it the second you put it on. The Mobi backpack is able to keep your device, batteries, and nasal cannula out of sight and extremely secure. Featuring an external battery pocket, a cannula compartment on the side of the backpack with in-strap cannula sleeve. You will enjoy nothing but comfort with the padded and adjustable shoulder straps. Do you require the use of a wheelchair, walker, or scooter? 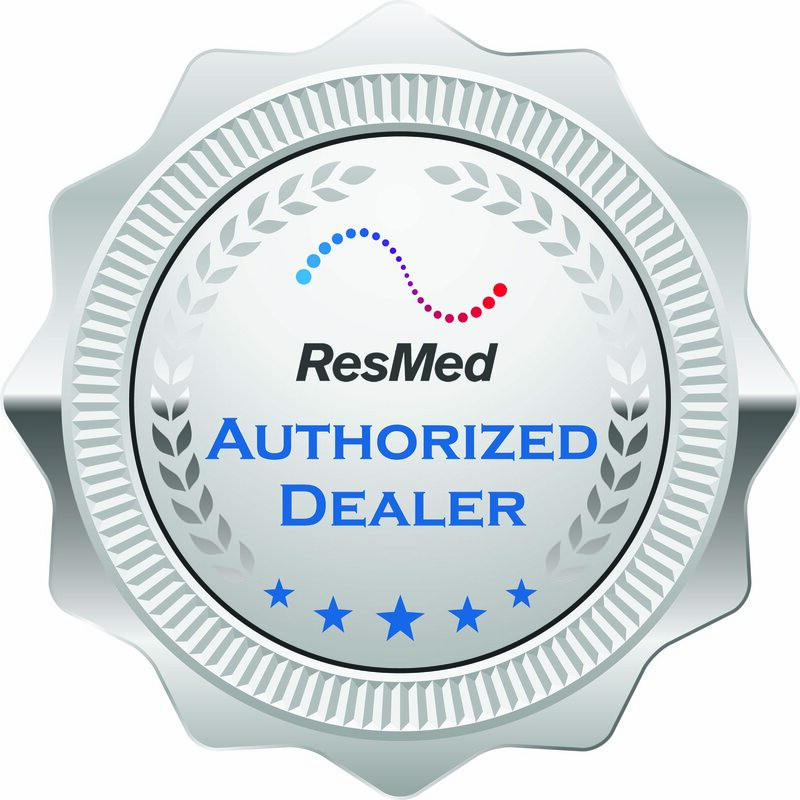 ResMed has you covered! 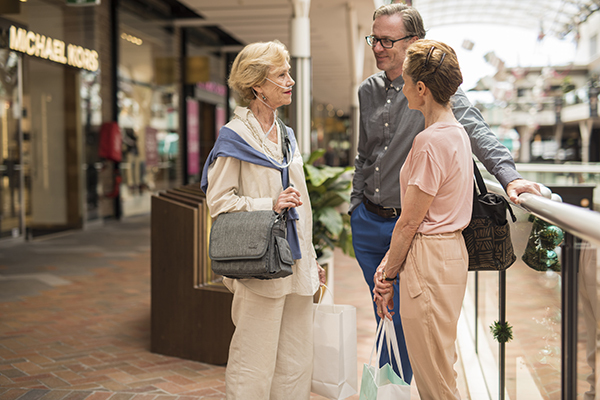 Enjoy being able to securely attach your Mobi portable oxygen concentrator to a scooter, walker, or wheelchair with the optional set of 4 Mobi mounting straps that attach directly to the carrying case.